Fabbricatori di ghiaccio a scaglie per industrie ittiche o casearie. PRODUTTORE DI GHIACCIO IN SCAGLIE PIATTE cm90x58.8x70.5h DA APPOGGIO CON EVAPORATORE ORIZZ. PROD. 400Kg/24h SENZA DEPOSITO M.
PRODUTTORE DI GHIACCIO IN SCAGLIE PIATTE cm90x58.8x70.5h DA APPOGGIO CON EVAPORATORE ORIZZ. PROD. 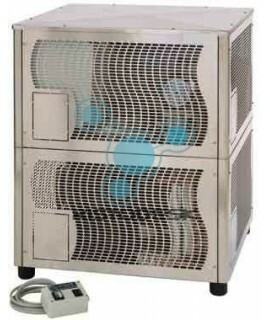 620Kg/24h SENZA DEPOSITO T.
PRODUTTORE DI GHIACCIO IN SCAGLIE PIATTE cm110.7x70x88h DA APPOGGIO CON EVAPORATORE ORIZZ. PROD. 900Kg/24h SENZA DEPOSITO T.
PRODUTTORE DI GHIACCIO IN SCAGLIE PIATTE cm110.7x70x97h DA APPOGGIO CON EVAPORATORE ORIZZ. PROD. 1500Kg/24h SENZA DEPOSITO T.
PRODUTTORE DI GHIACCIO IN SCAGLIE PIATTE cm106.2x83.2x142.3h DA APPOGGIO CON EVAPORAT. ORIZZ. PROD. 2200Kg/24h SENZA DEPOSITO T.
PRODUTTORE DI GHIACCIO IN SCAGLIE PIATTE cm68.2x70.2x88.5+4.5h DA APPOGGIO CON EVAP. ORIZZ. PROD. 450Kg/24h SENZA DEPOSITO T.